Glenmary was founded in 1939 by Father William Howard Bishop, a priest of the Archdiocese of Baltimore. By most standards, Father Bishop was an ordinary man. For more than 20 years, he labored in a small Catholic parish in rural Maryland. Yet this ordinary man was given an extraordinary gift: the ability to see. He saw the thousands of poor, neglected and forgotten people who inhabited rural America. He saw what the Church had failed to see-that there were vast areas in the United States that were starving for the Bread of Life. Armed with this gift of sight, Father Bishop worked relentlessly. He built a school. He published and edited several newsletters in order to bring rural America’s plight to the awareness of “city dwellers.” He organized a cooperative. He was a founding member and later president of the National Catholic Rural Life Conference. He started a 4-H Club for the children of his parish. 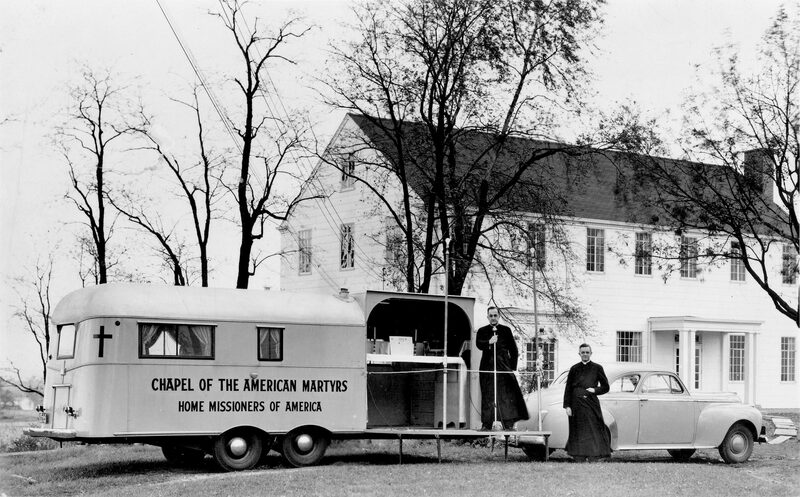 His efforts to bring the gospel of Jesus Christ to rural America ultimately culminated in 1939 when he founded the Glenmary Home Missioners.